Fifty years ago, Nelson Freire recorded Brahms’ third piano sonata for the first time. Recently, he undertook a remarkable digital remake, brought to life with breathtaking accuracy. The two recordings document and frame the outstanding life’s achievement of this pianist, who always impresses with his artistic seriousness and depth. Javier Perianes is a highly inspired and sensitive pianist who fascinates with an incredibly rich and always lyrical piano sound, combining clear-sightedness and emotion, and bringing always new perspectives to the music. 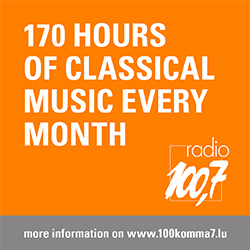 At his young age, Croatian bassoonist Matko Smolcic, a winner of numerous national and international competitions, is an accomplished soloist, chamber and orchestral musician in a repertoire stretching from Baroque to contemporary music. With his sensuous, warm and at the same time intensely communicative sound he brings nobility to his instrument. 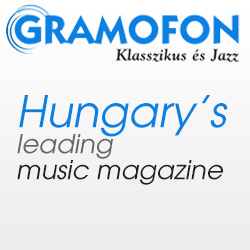 At her young age Eva Gevorkian is already a winner of numerous international competitions. 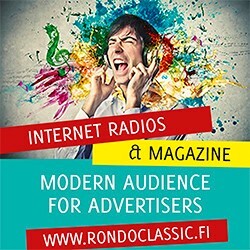 Apart from her bright emotional eloquence and impeccable technique, this young musician possesses the important features of a mature master. 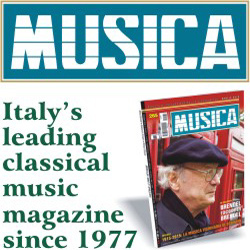 Among them, in particular, are the ability to freely manage tempi, to reveal all the possible colours and nuances of a modern piano as well as an astonishing sense of style. 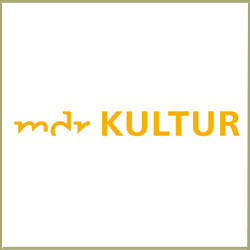 For over 30 years, the German classical label Ars Produktion has been a successful platform for young artists as well as for widely recognized musicians. 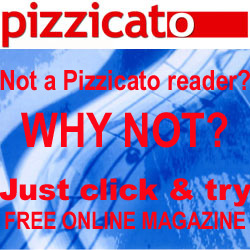 Many releases feature niche programs revealing hidden treasures. 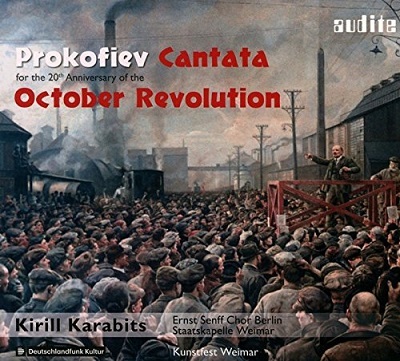 Artists, critics and listeners have pointed out the excellent recorded sound created by Manfred Schumacher, with most of the productions being released as high quality hybrid SACDs. 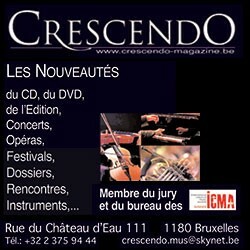 Since he became the only private student of Thomas Adès in 2009, the career of Spanish composer Francisco Coll has traced an upward progression that has placed him as one of the most solid and interesting voices on the international scene, with regular premieres by groups such as London Symphony Orchestra, Los Angeles Philharmonic, Ensemble Intercontemporain, and London Sinfonietta. For many years, Numa Bischof Ullmann has shaped the Swiss orchestral scene with his artistically innovative ideas, his tireless verve and with his corporate long-sightedness. 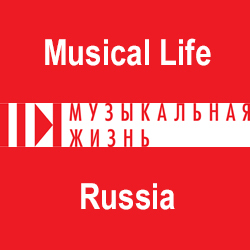 Firstly, he worked with Basel Sinfonietta. 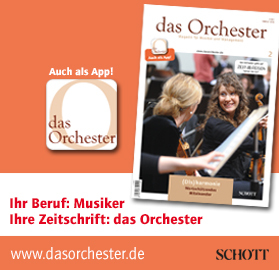 Since 2004 he has been the intendant of the Lucerne Symphony Orchestra. He is still setting landmarks in the perception of these orchestras. 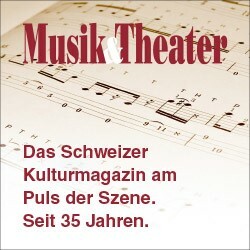 With his many-sided activities, he opened new doors for the Lucerne Symphony and gave it a new self-confidence as the residence orchestra of the KKL Lucerne. 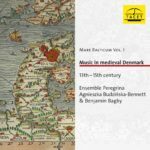 The Basel-based singer, harpist and musicologist Agnieszka Budzinska-Bennett and her specialized Ensemble Peregrina have explored medieval music on the highest musical and scientific levels for more than twenty years. 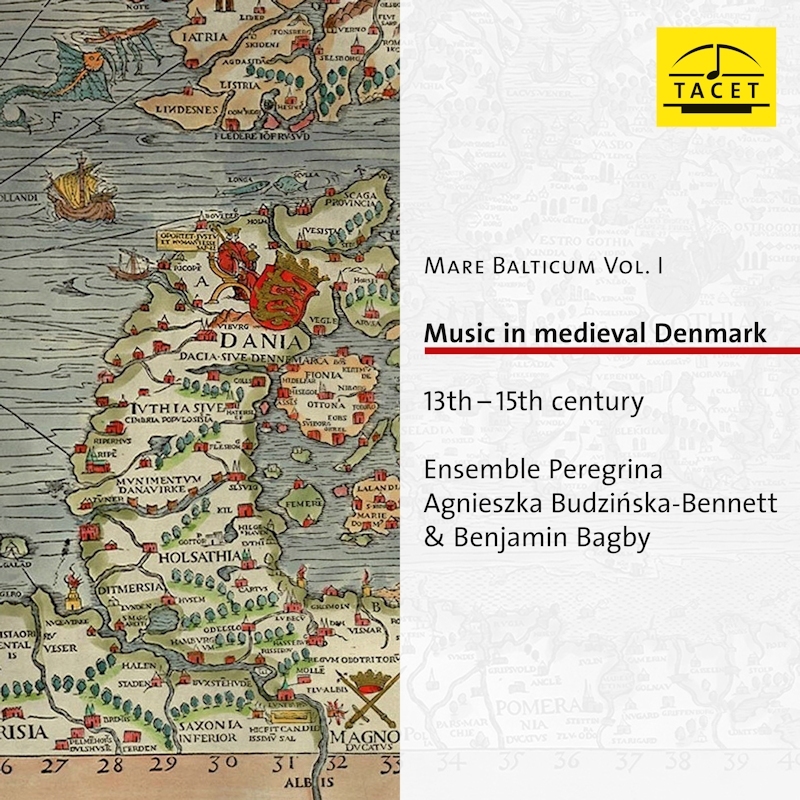 With Benjamin Bagby (Sequentia) as a special guest, Volume I of their journey through the countries surrounding the Baltic Sea presents the earliest music preserved in Denmark. 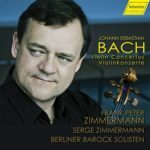 On their new, mesmerizing CD with violin concertos by Johann Sebastian Bach, Berliner Barock Solisten and Frank Peter Zimmermann prove that modern instruments and historically informed playing combine in high-level performances. Rhetorical freedom and lively dynamics as well as truly enthusiastic playing are the most characteristic values of the production. 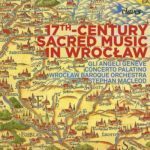 This is an exciting musical voyage led by three remarkable ensembles into unknown but fascinating landscape of baroque music with pieces from the 17th century coming from archives in Wroclaw. 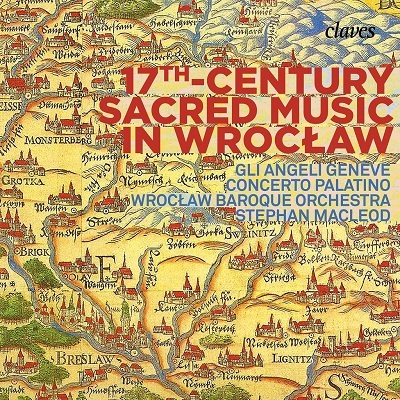 Gli Angeli Genève, Concerto Palatino, and the Wroclaw Baroque Orchestra under Stephan MacLeod deliver lively and subtle performances. 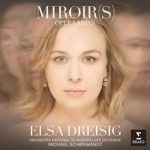 The French-Danish soprano Elsa Dreisig, already awarded in 2017 as ICMA Young Artist of the Year, astonishes with her debut album Miroir(s), where she shows a mellifluous, charming soprano voice, an amazing depth of feeling and total ease and versatility in a very broad repertoire, from Mozart to Strauss. 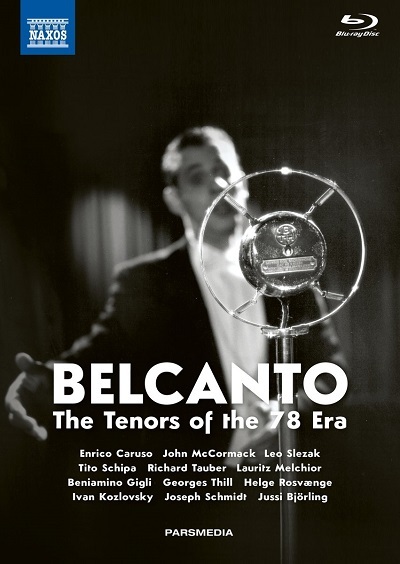 This is a concept album that achieves perfect balance between rarities and famous arias. 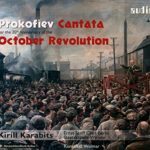 Kirill Karabits frees Prokofiev’s October Revolution Cantata from any possible revolutionary pathos, enhancing the satirical and destructive character of the music, which Prokofiev didn’t dare to publish. The large ensemble united for this performance delivers a taut and focused sound, superbly caught by the microphones. 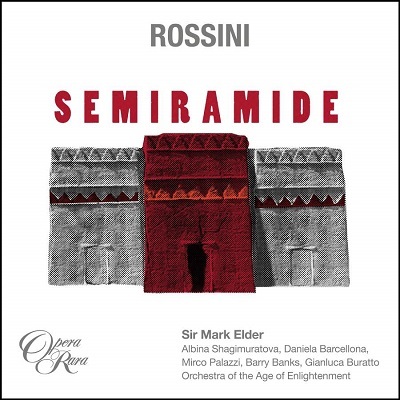 The new recording of Gioacchino Rossini’s Semiramide under the baton of Sir Mark Elder brings, despite relatively slow tempi throughout this performance, a great deal of freshness, resulting both from many dynamic contrasts and intense dramaturgy, as well as from a historically informed way of conducting. 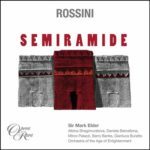 With a magnificent set of sensitive soloists and a chorus bursting with sweetness but also with energy, here is a very contemporary and convincing vision of this score. 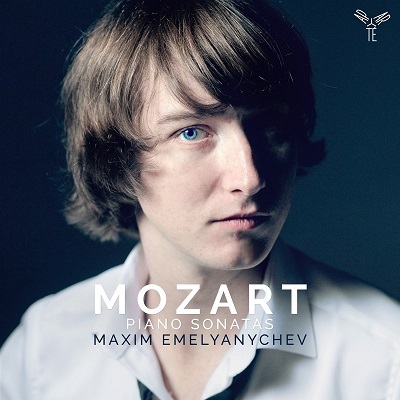 More than other composer’s piano works, Mozart’s solo sonatas need a sense for simplicity and strong transparency. Maxim Emelyanychev’s unusual playing combines that lucidity with stylish ornamentation, nuanced touching, shaded dynamics, exquisite rubati, outstanding technical abilities and an overall authentic sound on a modern copy of a fortepiano from 1792. 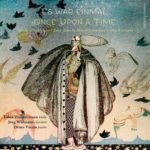 Once upon a time there was a CD which wove an inspiring and irresistible bond between Robert Schumann’s romantic Fairy Tales and the work of one of today’s most versatile composers, Jörg Widmann. 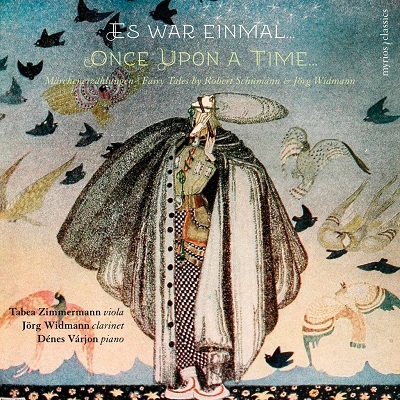 The album Es war einmal proves that, with musicians like Tabea Zimmermann, Denes Varjon and Jörg Widmann, every fairy tale in music may become true. 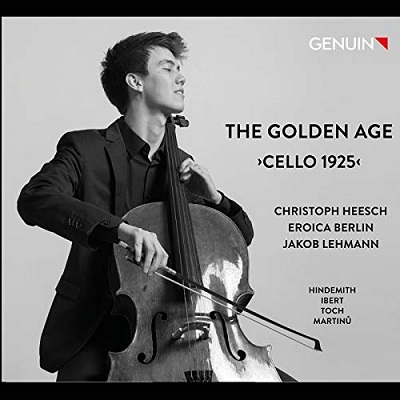 For his debut CD, Christoph Heesch has put together an ambitious and attractive program. As an accomplished chamber musician, the young cellist communicates with his colleagues to enter into a true dialogue with them. So, together with the ensemble Eroica, he proves an inspired and expressively eloquent performer with a blooming, lyrical sound of great intensity. 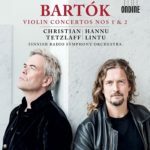 This release proves the excellence of violinist Christian Tetzlaff, conductor Hannu Lintu and the Finnish Radio Symphony Orchestra in the repertoire of the 20th century. Together, they offer a masterful interpretation of Bartok’s violin concertos. 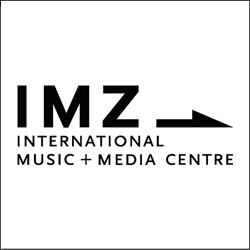 Tetzlaff and his Finnish partners use their outstanding abilities and musical senses to expressively recreate the moods without neglecting structural refinement. 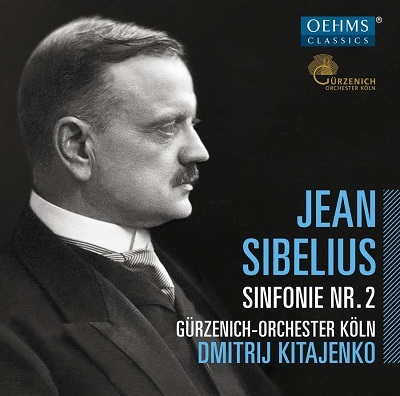 In Sibelius’ Second Symphony Dmitrij Kitajenko comes closer to the spirit of the score than a lot of other conductors, and his performance is one the most atmospheric and gripping available on disc. 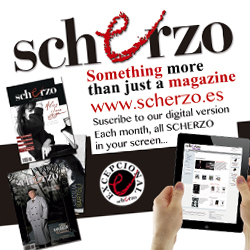 With extremely rich and differentiated textures, it breathes with stunning immediacy and impact. The playing of the Gürzenich Orchestra is superlative throughout. 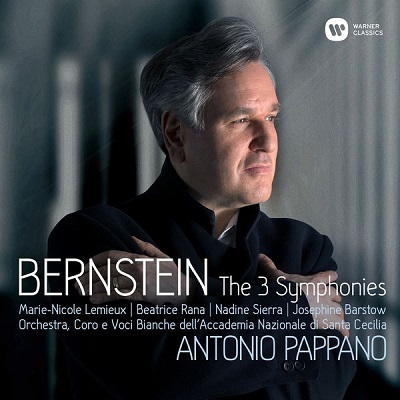 On the occasion of the Leonard Bernstein centenary, Antonio Pappano, various soloists and his Orchestra dell’Accademia Nazionale di Santa Cecilia show that Bernstein’s symphonies are now classics of the 20th century. 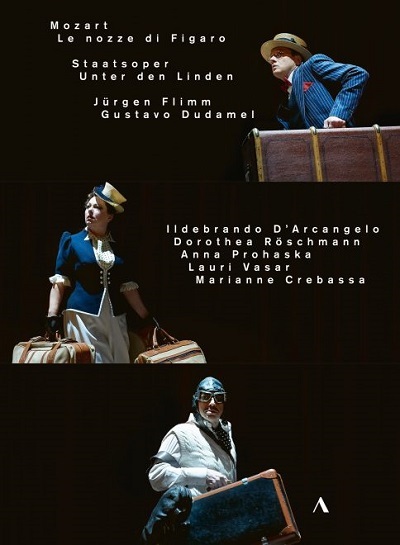 The performances are excellent, lively, dynamic and sensitive as well. 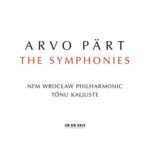 For many years the Estonian conductor Tönu Kaljuste has been one of the most prolific and substantial interpreters of Arvo Pärt’s musical cosmos. His sublime and differentiated reading of the four Symphonies not only presents a journey through different compositional styles, such as neo-classical, serialist, gregorian-chant or church-slavonic-influenced and traditional, but also a deep understanding of the composer’s spiritual quest. In these refreshing recordings, Chouchane Siranossian and her partners prove excellent Mendelssohn performers. 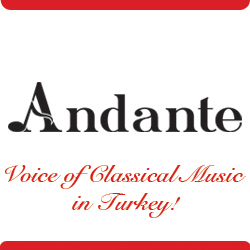 Both in their original versions, the Violin Concerto and the String Octet are heard in lively and fiery performances, thus intensifying the bliss of the composer’s inspiration. 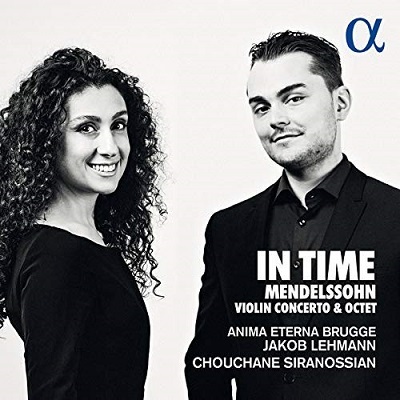 In the Concerto, full of sparkle and imagination, Chouchane Siranossian shows her outstanding technical and interpretative skills. 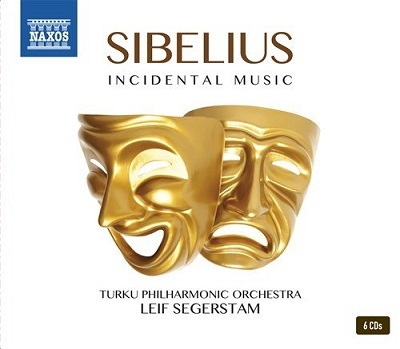 The box of incidental music of Jean Sibelius reveals hidden treasures, full of theatrical atmosphere and emotions as well as interesting reminiscences of the composer’s more familiar masterworks. 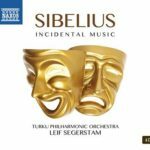 The Turku Philharmonic orchestra and Leif Segerstam dig deep into this rich theatrical sound world, captivating meaningful details and colourful sound. The director Otto Schenk once said that « Birgit Nilsson’s miracle has to be experienced in the theater. 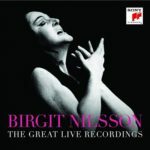 » For those who never saw her on a stage, this box is the closest we come to experiencing such a miracle, and the best possible tribute to one of the great sopranos of the 20th century. 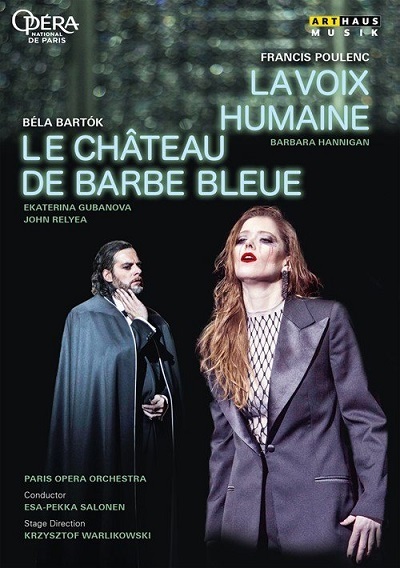 At first glance, the two one-act-operas La Voix Humaine and Blubeard’s Castle have no mutual musical relation. 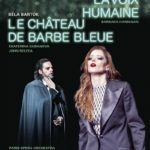 And yet, in this outstanding live recording with an extraordinary successful cast – Barbara Hannigan, John Relyea, Ekaterina Gubanova, and the Paris Opera Orchestra -, under the refined direction of Esa-Pekka Salonen, Krzysztof Warlikowski’s inspired staging reunites both works in one absolutely fascinating production. 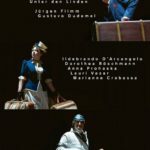 With Jürgen Flimm’s inventive and lively staging in Almaviva’s summer residence, as well as an excellent cast, this is an outstanding performance of Mozart’s Le Nozze di Figaro, consistently conveying a very fresh and delightful humour. Despite rather measured speeds, Gustavo Dudamel’s inspired conducting carries all the sparkle of the music. 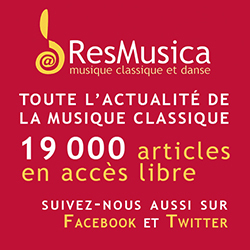 Caruso, Slezak, Tauber, McCormack, Schipa, Gigli, Schmidt, Koslovsky, Björling et al. 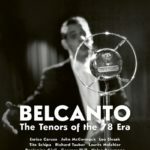 This documentary allows us to travel back to the beginning of the 20th century, getting in touch with the singers who built the modern ’myth’ of the tenor voice, from Gigli to Tauber, from Caruso to Melchior, in an effective mix of vocal charm and public charisma. 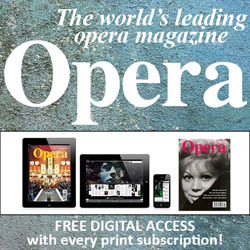 With rare restored material, this documentary is a must for every opera lover.